Jason Patric, veteran to action and drama films, guest stars in Pie, the ninth episode of Entourage’s fifth season. 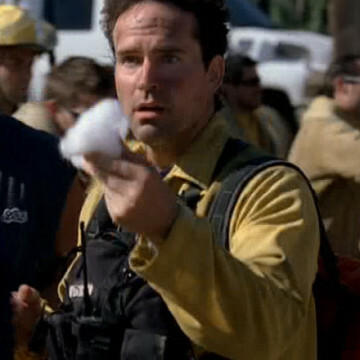 Jason is cast as the lead actor in Smokejumpers and shares a number of scenes with Vincent Chase’s character. Vince’s posse initially believes that Patric has it out for his fellow actor when he intentionally steals a number of his lines. The gang later learns that the project’s director gave the lines to Patric because of his aversion to Vince’s acting style. Jason Patric is a Queens, NY native like the Entourage characters and stars in films like The Lost Boys and 1997’s Cruise Control.